In “Improve Your Dog’s Immune System 101: Exercise” we discussed how making small changes to your pet’s daily routine and encouraging your pet to be active can actually boost their immune system. Exercise, when combined with proper nutrition, improves their overall health and well-being, reducing their risk of contracting not only the canine flu but infection, diabetes, liver or heart conditions, asthma, and more. Proper nutrition and a healthy diet are as important for your dog’s body as it is for your own. 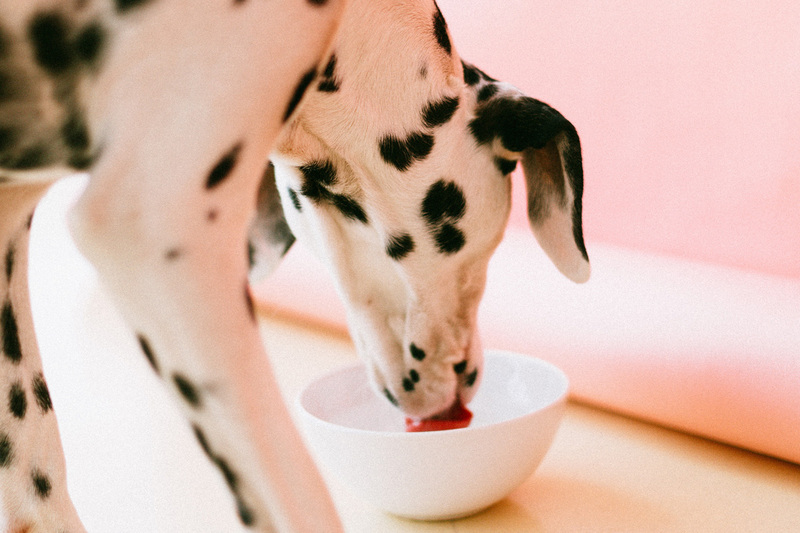 While humans have a range of diets––omnivore, vegetarian, vegan, plus fad diets like keto––your dog’s diet should be a blend of carbohydrates, proteins, fats, vitamins, minerals, and water. Carbohydrates provide energy, keep your dog’s intestines healthy, and are important for reproduction. Moderately fermentable fibers, a type of carbohydrate, promote a healthy gut without the undesirable side effects like gas. Proteins are the building blocks for cells, tissues, organs, antibodies and more. Proteins are also important for growth and reproduction and can be found in a number of meats such as chicken, turkey, beef, fish, eggs––but never raw eggs––and vegetables. Fats provide energy––even more so than carbohydrates or proteins––and provide insulation and protection for internal organs. Vitamins are important for your dog’s metabolism but only in small amounts. Before you consider giving your dog vitamin supplements, consult your veterinarian. Minerals are important for your dog’s bones and teeth, for metabolic functions, and for keeping fluids balanced. Water can be supplied through food but fresh clean water should always be available to your dog. The amount you feed your dog should be based on their size and energy output. Treats are great rewards but be careful not to give in to those puppy-dog eyes every time they think they deserve one. Treats should only make up 5% or less of your dog’s diet. Diet is important but keeping your dog’s ears, nails, and coat clean will also keep your dog healthy. At Suds N Hugs we provide high-quality grooming services to give your dog the best care from tub to trim! Call (716) 759-2030 today to schedule your next visit!